Barbie 芭比娃娃 - ESOL Materials - 英语交流吧论坛 - Powered by Discuz! A plus-size Barbie image on a modeling website generates controversy for its offensive portrayal of a curvy woman's body image. While the photo has received over 35,000 “likes” on Facebook, there are a substantial number of comments that have addressed the issue of the doll’s extreme size. MaryBeth Gafford, a Facebook user, posted: “The triple chin is too much. Most overweight people (me included) only have a double chin no matter what size they are. This Barbie is inaccurate.” Gafford and others are unhappy with the doll because it portrays plus-size women as inherently unhealthy, when many are actually of a healthy weight, but just naturally curvy. The plus-size Barbie image produced by Worth1000.com — not Barbie’s manufacturer Mattel — derives from an illustration contest on the website where artists compete every day in creative competitions. The plus-size Barbie won a 2011 contest called "Feeding Time 9," created by the artist Bakalia. Statistics show that 60 percent of American women self-identify as part of the "plus-size" market, although there is some debate about the term itself. In a national survey conducted by Sonsi.com, a retailer from the same parent company as Lane Bryant, 1,000 plus-size women sizes 14 and up, were polled and asked: "When describing your size, what term do you prefer?" Twenty-eight percent of these women preferred the term “curvy,” while 25 percent of respondents preferred “plus-size,” and the other 25 percent preferred “full-figured.” This group of women were also asked who they drew inspiration from when it came to their shopping preferences. Top picks were friends and family at 30 percent, followed by plus-size icons at 21 percent, The Huffington Post reports. Barbie has a long history of encouraging body image issues. In the 1960s, Mattel released "Slumber Party Barbie," which came with combs, hair rollers, and a sleeping bag, according to Rehabs.com. The Barbie set included a scale permanently stuck at 110 lbs. and a small book titled How To Lose Weight. In the book, the only words that were written in all-capital exhortation was "DON'T EAT!" The release of Barbie dolls like these helps perpetuate highly unrealistic images of female bodies that can have a powerful influence on how little girls see their own lives. 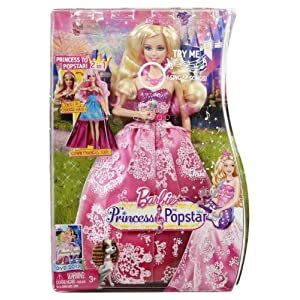 Increased exposure to these dolls may lead to unhealthy body image self-perception, which is reflected in the increasing rate of eating disorders of young girls. In the 1990s, the Yale Center for Eating and Weight Disorders calculated on average how much an average healthy woman’s body would have to change for her to have the equivalent proportions of a Barbie doll. Overall, women would have to grow two feet taller, extend their neck length by 3.2 inches, gain 5 inches in chest size, and lose 6 inches in waist circumference. These dimensions are considered impossible to achieve but are still emulated by young girls. In 2013, an infographic made its way around the internet which helped visualize the data found in the study, titled "Ken and Barbie at life size." Yale's infographic on how Barbie's body compares to the average American woman's. She has an on-off romantic relationship with her boyfriend Ken (Ken Carson), who first appeared in 1961. A news release from Mattel in February 2004 announced that Barbie and Ken had decided to split up, but in February 2006 they were hoping to rekindle their relationship after Ken had a makeover. 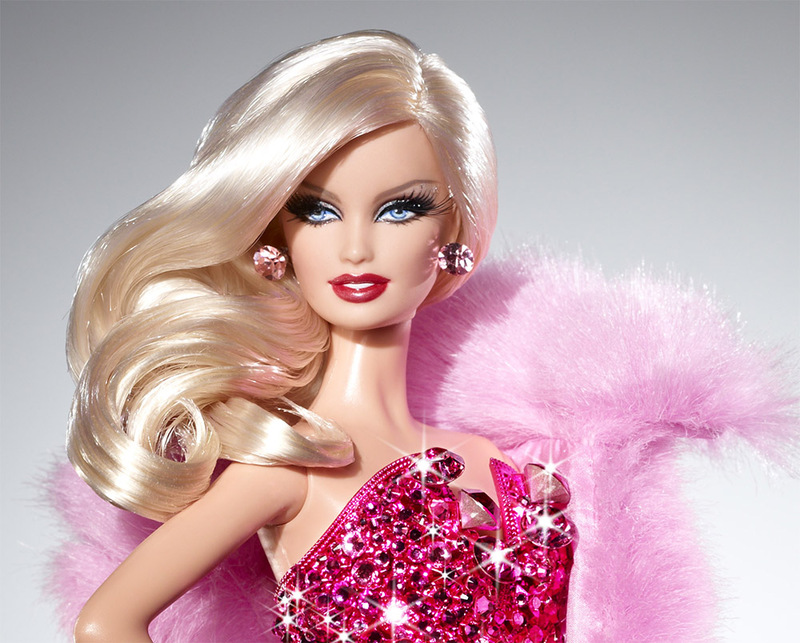 Barbie has had over 40 pets including cats and dogs, horses, a panda, a lion cub, and a zebra. She has owned a wide range of vehicles, including pink Corvette convertibles, trailers, and jeeps. She also holds a pilot's license, and operates commercial airliners in addition to serving as a flight attendant. Barbie's careers are designed to show that women can take on a variety of roles in life, and the doll has been sold with a wide range of titles including Miss Astronaut Barbie (1965), Doctor Barbie (1988) and Nascar Barbie (1998). GMT+8, 2019-4-23 06:29 , Processed in 0.185333 second(s), 39 queries .